"The vicinity of tranquility-peace and quiet! Longing for a place to enjoy life uninterrupted, Discover Gandy's Beach. Unobstructed breathtaking views from all sides, it will be difficult to decide which view to choose, front or back. Extra Lot which provides plenty of extra parking and space. Extra high foundation which is only 8 years old. 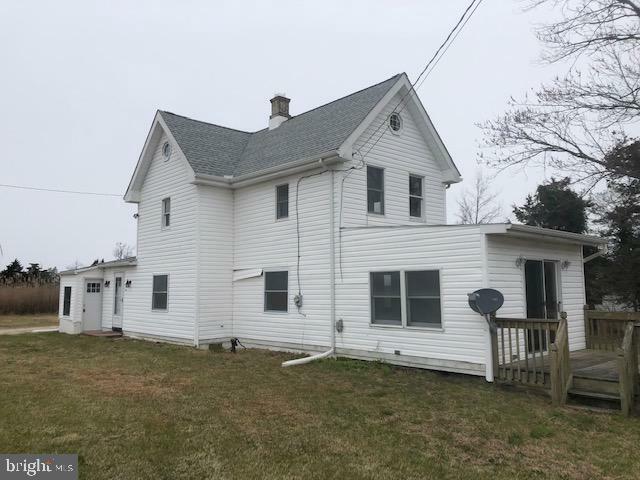 This 2nd floor, 2 bedroom view of both the Delaware bay and creeks and marshes behind is a must see. 1st Floor has a full eat in kitchen with living room. This gem has 3 full bath, 1 for washing before tracking in sand and 1 on each floor. New upgraded front windows, hard wood floors and huge maintenance free deck wrapping around the back of the home. Bring your fishing pole, boat, swimsuit and float to this one! Discover Gandy's Beach and you will be hooked. SEPTIC APPROVED!!!!" "Located in best kept secret, Gandy's Beach, is where you will find this beautiful water front property overlooking the Delaware Bay. Prepare to be impressed from the moment you enter the house as the view of the water immediately greats you. The views from the spacious deck complete with enclosed screen room will take your breath away as you watch the mesmerizing sun sets. This house offers so much from the four spacious bedrooms, 1.5 baths, to the spacious great room with high ceilings, and the large kitchen with breakfast bar. This is an entertainers dream and to make it even better during low tide you can enjoy the beautiful beach. Some recent updates include newer roof, newer hot water heater, newer bulk head, outside shower, & large driveway with replenished fresh crushed shells, Make your appointment today to tour this exceptional value for a beautiful water front property." 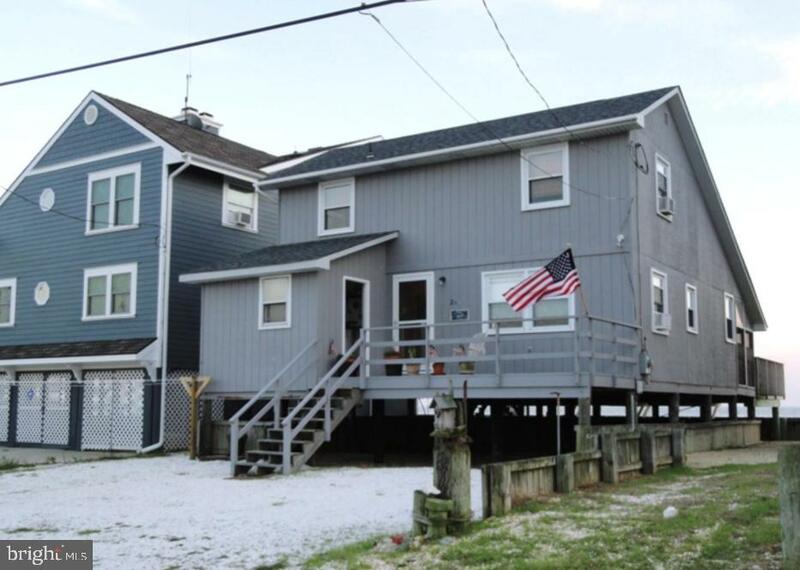 "Amazing Opportunity to own WATERFRONT property at a fraction of the cost of a home at the Jersey Shore! Welcome to Gandy's Beach, one of South Jersey's best kept secrets. 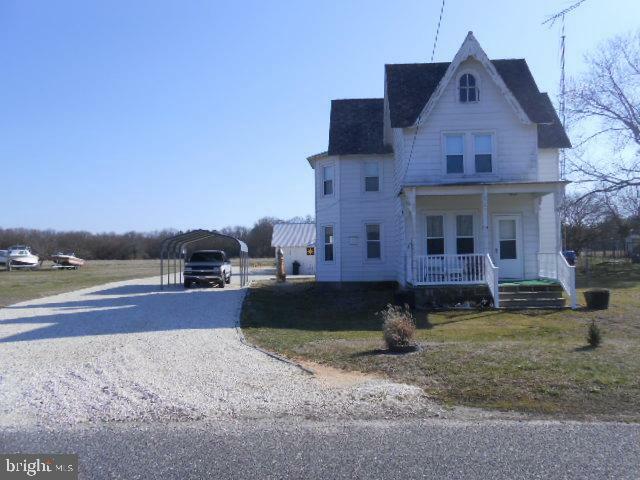 This 3BR, 2 full bath property can be that getaway you need providing breathtaking views of the Delaware Bay. Downstairs you will find a full kitchen with a breakfast bar and open concept living and dining areas. Upstairs two nice sized bedrooms offer space to accommodate guests and the large MASTER SUITE offers panoramic views of the water! Easily entertain in this home, the HUGE Trex deck overlooking the bay is the perfect spot for your summer parties or sunbathing. The screened porch offers additional living space. Make this your game room, it's a great spot for the kids to hang out. Plenty of storage for all your beach equipment in the large shed on the property. Before it's too late, make this hideaway your own! The owners are generously including the exisiting furniture so you can start enjoying this vacation property right away!" "Leisure time for sale at Gandy's Beach! Only a Hop, Skip & a Jump to the Beach! Isn't it time to relax and enjoy life? You earned it! 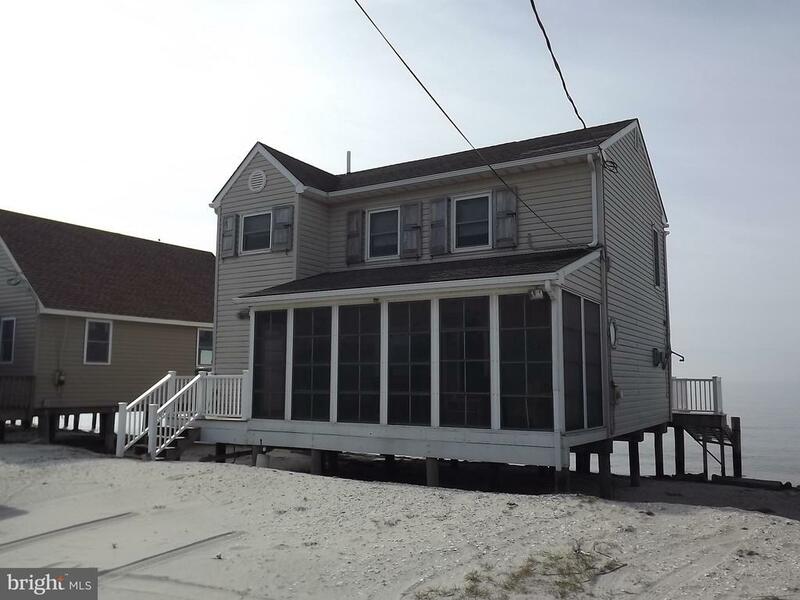 This well maintained home boasting breathtaking views of the Delaware Bay and located in a resort town with a Marina that has a great sense of community. The property sits on a 50x80 lot with waterfront views and has been well maintained by its owners. This property features a spacious kitchen with an abundance of cabinet space, center island with all appliances included, large living room/family room (your choice, three bedrooms,1.5 baths,and a 24x12 screen in sunroom. There is plenty of parking under the home for your boats and all your vehicles with a storage shed to hold your fishing equipment. Additional amenities include private well, vaulted ceilings, deck and washer/dryer. Don't miss out on the opportunity to own this waterfront property with access to the Delaware Bay. Your family will enjoy boating, swimming, crabbing and fishing. But most importantly they will enjoy the relaxing time watching the sunset. This home is priced to sell. Put this one on your list. You won't be sorry, don't take my word come see for yourself. Truly a beautiful summer home! SHOW & SELL!" "DOWN BY THE BAY!!! Come and take a peek at this cozy ranch home minutes from the bay. Plenty of space to park a boat or two. Enjoy your 3 bed 2 bath home with a den that was finished with wood cabin feel complete with a wood stove. Come home and enjoy a relaxing night on the deck after a long day on the water. Need to get some work done? There is plenty of space for you to do so in the over sized detached garage All of this on a private 54 acre setting. Don't miss this opportunity to own this huge piece of land at an affordable price. Schedule your tour now." "The Chance to Live the Ultimate Water Lifestyle. 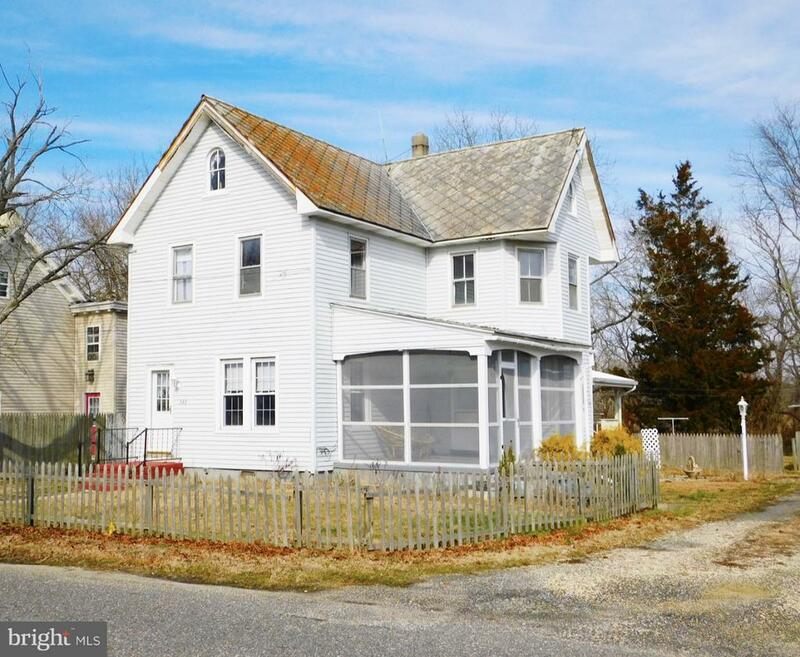 Adorable Home, nicely decorated with water view of the Delaware Bay. Longing for a place to enjoy life uninterrupted? Walk to the beach. Come to see this small beach community known as Gandy Beach and discover our secret worth sharing. This home is beautifully maintained with an additional lot, perfect for parking your boat or jet ski. Screened back porch can be so relaxing while watching the wildlife, eagles, ospreys, and herons to name a few. All from your lazy boy chair. The front porch is enclosed to give additional living space. Wood burning stove takes the chill out of cool nights. The roomy kitchen is the central hub for this home, lots of cabinets for storage. Two bedrooms & bathroom finish this floor plan. Home is built on pilings to limit water exposure. Living by the water is so peaceful, a must visit. It does not disappoint! Make an offer... Fortescue/GandysBeach New Wastewater Treatment Plant information is attached." "Country living at its finest! Join me in welcoming to the market 333 Methodist Road located in the peaceful little town of Newport NJ. This 3 bed 1 1/2 bath colonial boast beautifully high ceilings, original hardwoods and tons of character. The large dining room and family room are perfect for entertaining while an extra room on the first floor can serve as an added 4th bedroom or office space. Head to the second story up the beautiful wooden stair case to find 3 bedrooms and spacious full bath. Enjoy the peaceful view from your screened in porch or spend time tinkering in your detached garage perfect for small boat storage. * Additional land available for purchase to increase the side yard of the property! Ask listing agent for details. Home being sold in As Is condition . Schedule your appt. today!" "Old time charm looking for its new owners!! Let's take a tour!! This property offers 3 ways to enter and view this unique property!! As you enter from the side under your large carport you will go through the porch leading into the kitchen!! Continuing through to your formal dining room which flows openly into your family living space! Second floor boasts 3 bedrooms with original hardwood floors and uniqueness only found in this 100+ year old gem! Other features include; newer heater; natural gas. Property being sold AS-IS. Buyer responsible for any and all certifications and inspections needed for resale." "Charming 3 bedroom/1 bath older home in the quaint village of Newport. Features include living room with electric fireplace, dining room, eat-in kitchen, laundry room, bathroom & utility room on the first floor. There are 3 (unheated) bedrooms on the second floor. The lot frontage is 104' and 243' deep with a one car garage, carport and two storage sheds. It is located close to Downe Twp. School, Delaware Bay for fishing, crabbing or strolling the beach and is approximately 15 minutes from access to Rt. 55 for Philadelphia and the NJ Shore Points." "Gandys Beach Summer Retreat. A perfect getaway with views, views, and more views! Come to visit this Delaware Bayfront home before it's gone. The deck wraps around for additional space to enjoy all this property has to offer. Enclosed porch 15 X 7, has vinyl windows which allow the sunshine year round. Don't let this small home fool you. 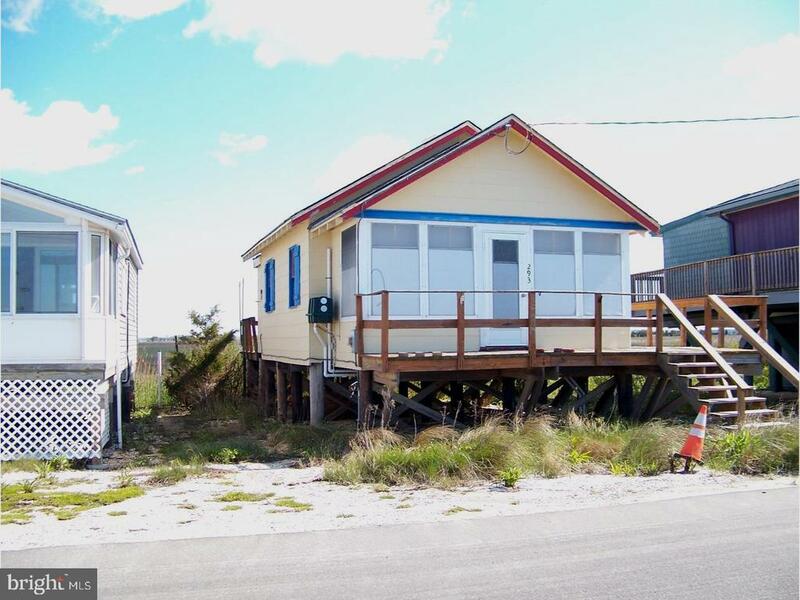 Built on pilings, this home has a kitchen, living area, bedroom, bath, and the porch. New septic already in place 2014 installed. Come for a visit, bring your fishing rod, bike, or boat. Life slows down once you arrive in Gandys Beach. Time to relax and enjoy life! Fortescue/GandysBeach Wastewater New Treatment Plant information attached to listing." 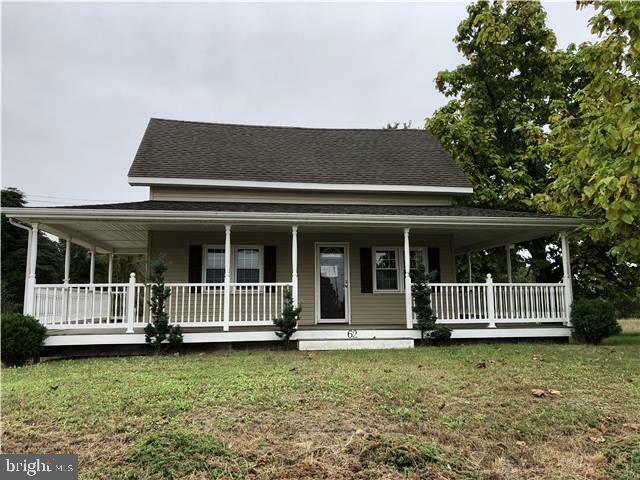 "This Fannie Mae Homepath property is located in Downe Township and is situated on over 12 acres of land. The eat-in kitchen features Oak cabinets, granite counter tops, and a wood burning stove. The living room opens to a Family room that has sliding glass doors which lead outside to a large deck. Upstairs features a full bathroom, 2 bedrooms and an office. This home is located near a Fortescue Marina with restaurants, Gandys Beach, and the Delaware Bay." 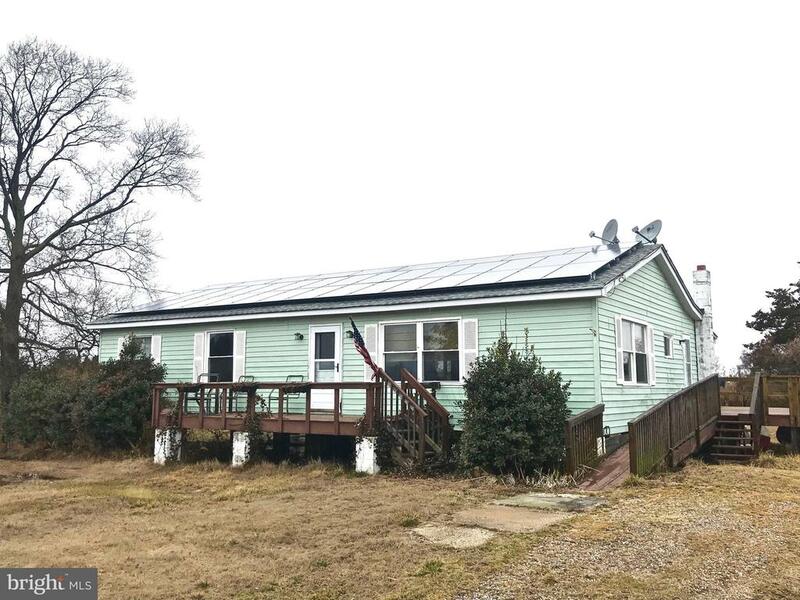 "2 bedroom, 1 bath SW Mobile home in Newport, features living room, family/TV room, eat-in kitchen, laundry area. 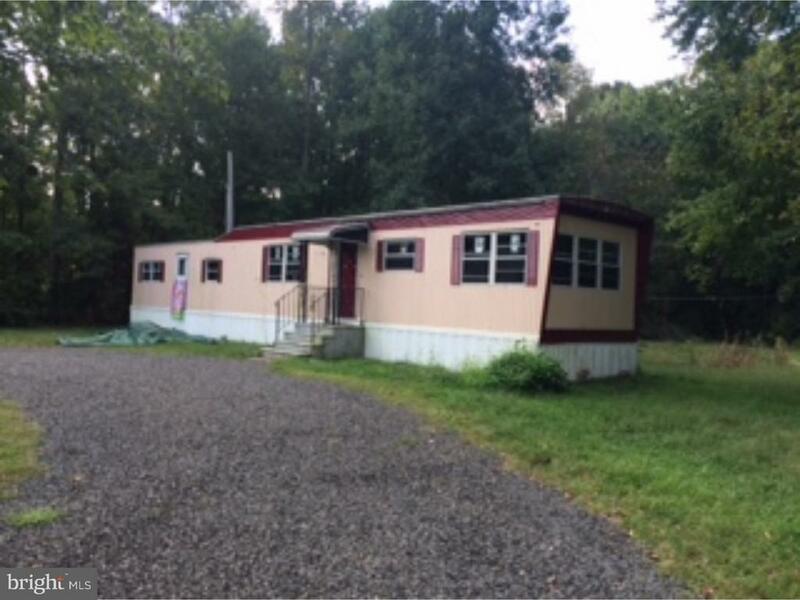 Situated on nice wooded lot near Downe Township school in a country setting." "Price Reduced!!!! Nice 2 bedroom home located on an acre of land. Huge wrap around porch and newer exterior add to the value of this home. Enjoy those quiet evenings on your back deck with family and friends. The Delaware Bay and Millville Airport located in close proximity. Enjoy the peace and serenity. HUD Home. Sold ~AS IS~ by elec. bid only. Prop avail 3-8-19. Bids due daily by 11:59 PM Central Time until sold. FHA Case #351-520198. Insured IE w escrow rpr. Eligible for FHA 203K. For Prop conditions, Forms, Discl & Avail please visit www.HUDHomestore.com. For additional forms, updates, step-by-step videos & free photo list, please visit www.BLBResources.com.BLB Resources makes no warranty as to condition of property. Buyer to verify all info LBP Living Square footage per FHA appraisal. Financing: Cash, Conv,FHA"